Posted on November 21, 2017 by violetquartz | No Comments. What I love about being out in nature, is how it takes us out of ourselves. Our worries and concerns, the minutiae of life. It allows us to connect to something that is greater than us. Regardless of whether you consider yourself a spiritual person or not, in the expanse of nature it is impossible to not feel connected, because you are! To all that have come before and to all that will come after, but most importantly to all that are living NOW. 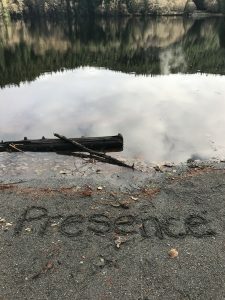 presence and our being here is vital to well-being.